The Sports Car Garage has recently moved from its Welshpool workshop where it had operated from for the last 24 years, we are now located in Bayswater. Although catering mainly to Perth’s MG fraternity the teams experience covers an extensive range of makes & models including American, European & Japanese. 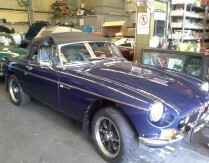 Because Classic car owners take pride and a keen interest in their cars, we provide a service that compliments this. The work carried out is detailed blow by blow on the Invoice, problems are intelligently thought through and discussed with the customer if and when they occur. There are no charges for storage, waiting for parts or pick up, and if parts are not available we can fabricate or modify an alternative. As owners of various classic cars, including the latest (Mk1 MX5 has been with us 25 years), we understand the issues with use-ability and keeping them in good condition. 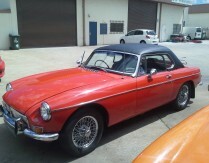 We stock over 3000 different stock items for your MG most models including TC Y TD TF MGA MAGNETTE MGB MGC RV8 MGF ZT. Please give us a ring and talk to our friendly knowledgeable staff, even if it’s only for technical information. 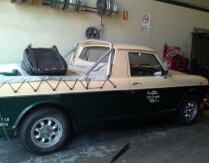 We can either repair and pump up your MGF “Hydra gas” suspension, or replace it with the Australian made Spring Kit. We will only use European Suplex if you supply. Over the last 20 years we have prepared and maintained quite a number of Classic and Historical race cars, covering various disciplines of the sport, including ; Motorkhanas, Autokhanas, Sprints, Hill Climbs, Track Racing & Targa Events.